The best secret ski towns of North America? That's the topic that freelance writer Aaron Teasdale recently wrote about for National Geographic Traveler. Ironically, he wrote the article from a hammock on the beach in Nicaragua, where he's been practicing surfing and saving turtle eggs from poachers. 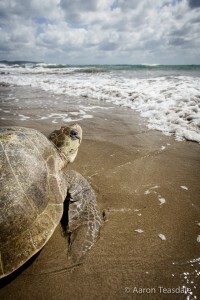 We recently met his family on the beaches of Guacaste, Nicaragua. The Teasdales rented out their home, took the kids out of school and are taking seven months to explore Central America. Sounds like a great lifestyle, right? So is this something that's only possible for an elite few, those gifted geniuses with a flair for wrangling words together? Not according to Chris Guillebeau's most recent book release (written by Amber Adrian, which I've just read and highly recommend). If you have a desire to 'write for a living', then it's possible to create a career out of freelance writing... a career that will give you more lifestyle options. Freelance writing is one of my income streams. But meeting Aaron Teasdale and reading Chris's/Amber's newly released book has inspired me to pursue this stream with greater passion. The formula for making it happen is simple... and it starts with getting your first paid gig. Maybe you’ll get paid your first time out, maybe you won’t. But the more you write and the more you engage, the more ideas you’ll have. The more you share, the more you’ll draw people, as well as jobs and opportunities, to you. Nail down your idea of great success. Know exactly what it looks like. Work steadily and creatively to get there and you might start the next world-changing online publication or write your way into cliff diving in Monte Verde or hiking Mount Everest. Decide to write. Commit to it everyday. Just write. That's how it starts. Your website is your resume. It tells the world who you are and what you've done (and what you plan to do). If you don't have any writing samples to share, then volunteer to write for someone who needs it. Now you're beginning your portfolio. Create a website telling the world you're a writer, and people will believe you. If you're going to make a living as a writer, it might as well be done by writing stuff you're interested (or even better, passionate) about. Is that education? Travel? Food? You can never get paid to write unless you pitch companies who pay for writers. Don't be afraid. Yes, writing is different than pitching. Pitching requires understanding the art of selling. Yes, you may very well get rejected. That's okay. The important thing is that you're trying, and gaining experience. Ultimately, earning income comes from connecting with people, often the right people... people who want what you have to offer. Where are your people? Offline? Online? Facebook? Twitter? Your job is to find people whom you can help and who in turn can help you. These are the very first steps to becoming a paid freelance writer. Of course making a career out of it will require more effort, information and know-how. The important thing to remember? YOU can do this. And it begins by beginning. In a year from now you can be closer to your dream lifestyle... or you can still be where you are. It's your choice. If you want more, make sure to grab the 'Get Paid for Writing' guide. 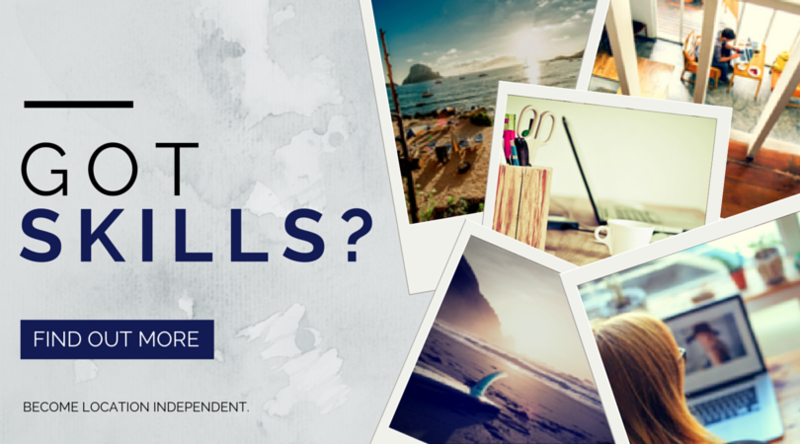 Are you a freelance writer? Do you want to be? Please share in the comments. Thanks for the comment about mom! (Me)! Love you! Hey Rachel, I found this to be good down-to-earth advice. I started a travel blog a few months ago and have been taking in as much information about it as I can! Funding for a travel writer is never that easy to think on but if you have the skills and capable enough to handle things for your future, try on supporting first everything for your success or you may have a client who’ve you both have the trust to anyone and ask them for you to work on the writing job through travel. This article is so helpful, i thank you. Cheers!